Giriraj Harshavardhan J.K., Ganesan Ram Ganesan, Jambu Nageswaran, Vijayaraghavan Phagal varthi. Purpose of this article is to assess the outcome of total hip replacement in the management of selected Acetabular fractures in specific cases within 3 weeks after injury. Prospective study of twenty patients who underwent primary total hip arthroplasty for acute Acetabular fractures. The study was done in Sri Ramachandra Medical College during the period Jan 2010 to Jan 2014. The inclusion criteria were acetabulum fractures associated with femoral neck fracture, neglected dislocation of the hip, marked impaction of femoral head or acetabulum and severe comminution of femoral head. The mean age was 61 years (range 50 to 71 years) and mean duration between injury and presentation was 6 days. The mean duration between injury and surgery was 12 days (range 2 to 21 days). Patients were followed up by serial X-rays and Harris Hip Score. Primary total hip replacement is a reasonable method of treatment of selected acetabular fractures in the acute phase in specific cases. Outcomes may not be as good as total hip replacement done for other conditions. Articles by Giriraj Harshavardhan J.K.
3. Giannoudis, P.V., Grotz, M.R.W., Papakostidis, C., Dinopoulos, H. Operative treatment of displaced fractures of the acetabulum. A meta-analysis (Review) Journal of Bone and Joint Surgery - Series Volume 87, Issue 1, January 2005, Pages 2-9. 11. Weber M, Berry DJ, Harmsen WS. Total hip arthroplasty after operative treatment of an acetabular fracture. J Bone Joint Surg [Am] 1998; 80-A: 1295-1305. 12. R. J. Sierra, T. M. Mabry, S. A. Sems, D. J. Berry. Fractures about the hip- Acetabular fractures-The role of total hip replacement. Bone Joint J 2013; 95-B, supple A: 11-16. Eur J Orthop Surg Traumatol 2018; (): . Costantino Errani, Mohammadreza Chehrassan, Davide Maria Donati,Cesare Faldini. "Traumatic bilateral anterior glenohumeral dislocation .Should unsupervised training at local gym be allowed?" Safety and Efficacy of Lumbar Spine Radiofrequency Neurotomy in the Presence of Posterior Pedicle Screws. This is an open access journal which means that all content is freely available without charge to the user or his/her institution. Users are allowed to read, download, copy, distribute, print, search, or link to the full texts of the articles in this journal without asking prior permission from the publisher or the author. This is in accordance with the Budapest Open Access Initiative (BOAI) definition of open access. The articles in Progress in Orthopedic Science are open access articles licensed under the terms of the Creative Commons Attribution Non-Commercial License (http://creativecommons.org/licenses/by-nc-sa/3.0/) which permits unrestricted, non-commercial use, distribution and reproduction in any medium, provided the work is properly cited. 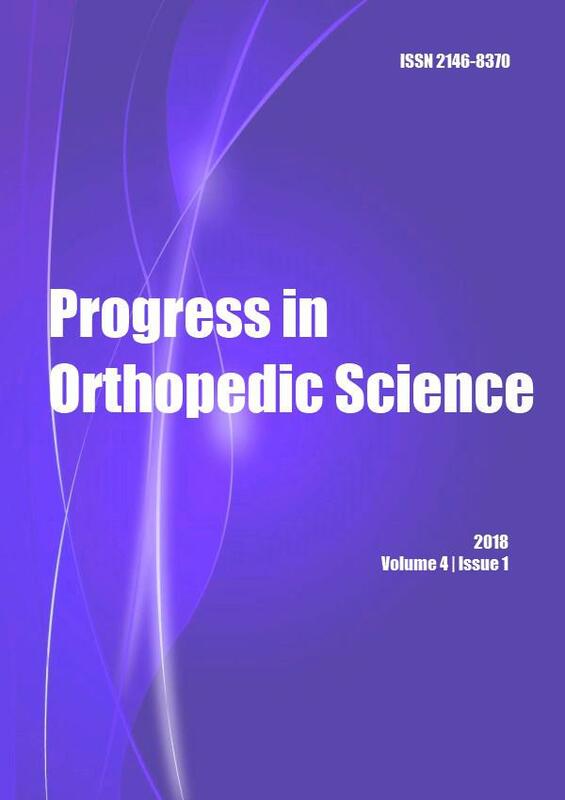 Copyright © 2019 Progress in Orthopedic Science All Rights Reserved. Subject to change without notice from or liability to Progress in Orthopedic Science. We welcome your ideas, suggestions, comments, or questions. To reach Editorial Board please use one of the methods provided below. We will respond within 48 to 72 hours. Change of address or personal information? Please visit your account at www.ejmanager.com to update your information.